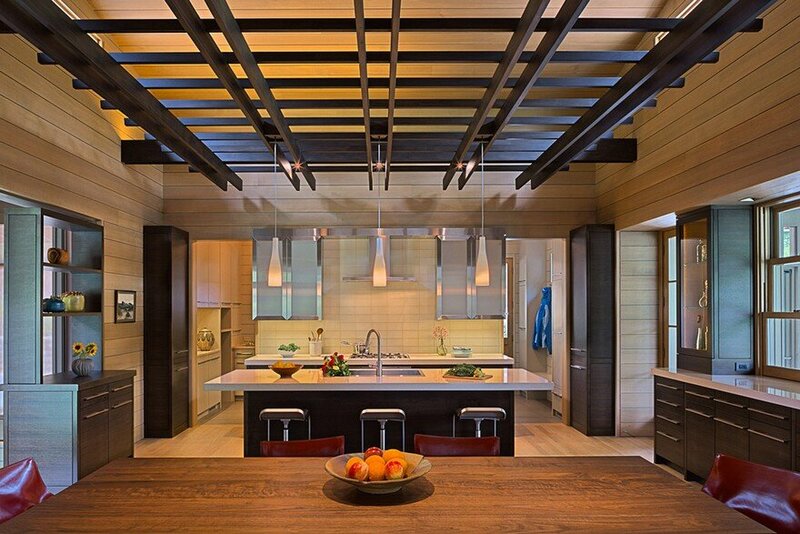 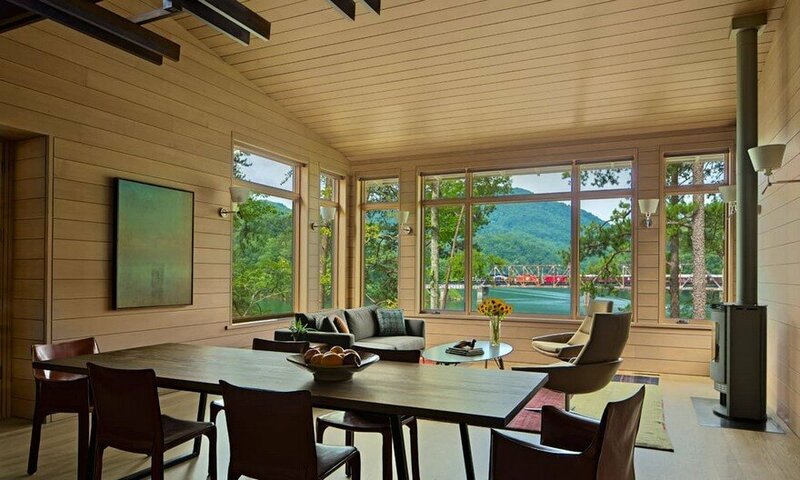 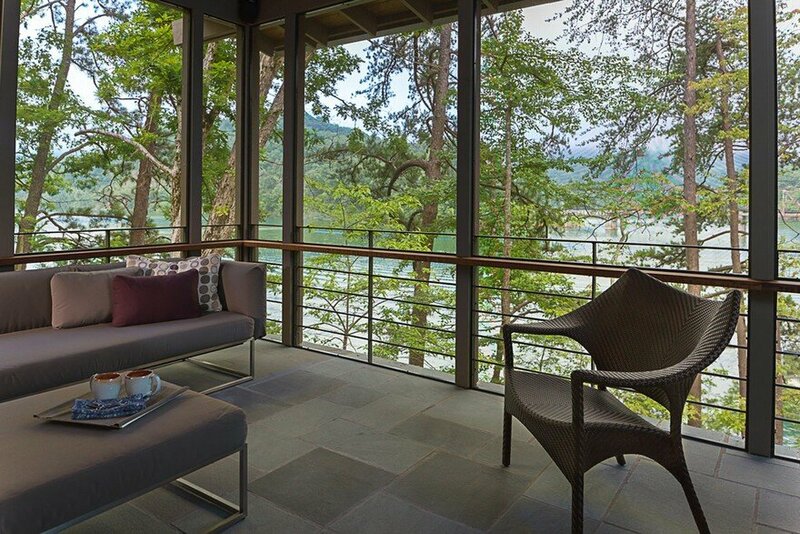 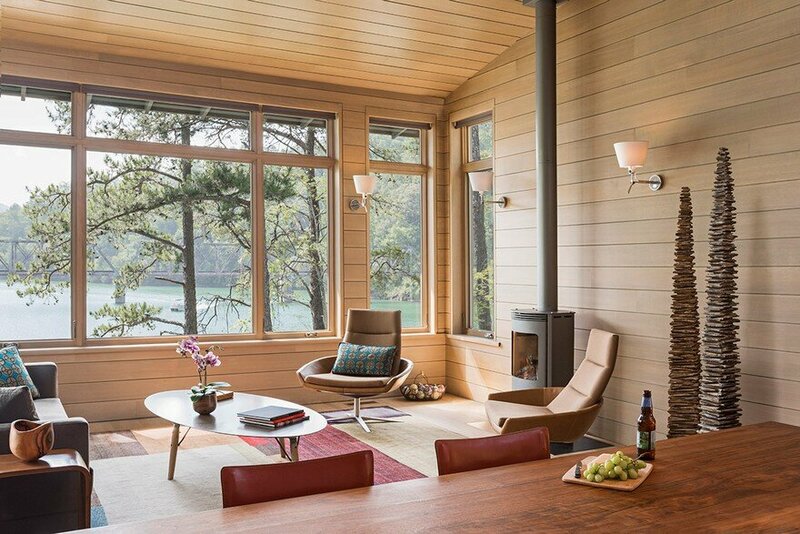 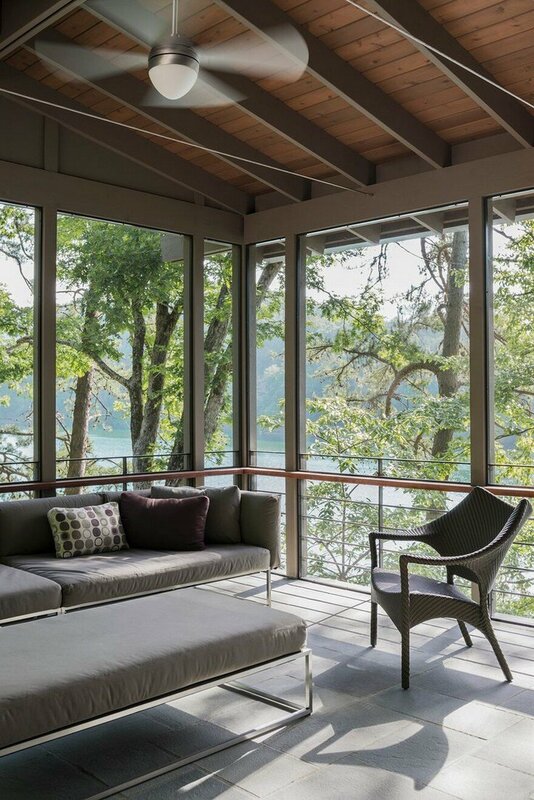 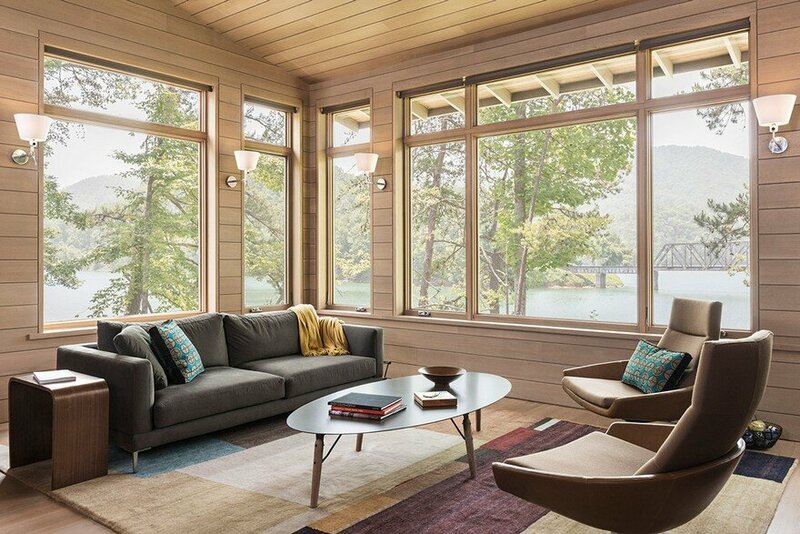 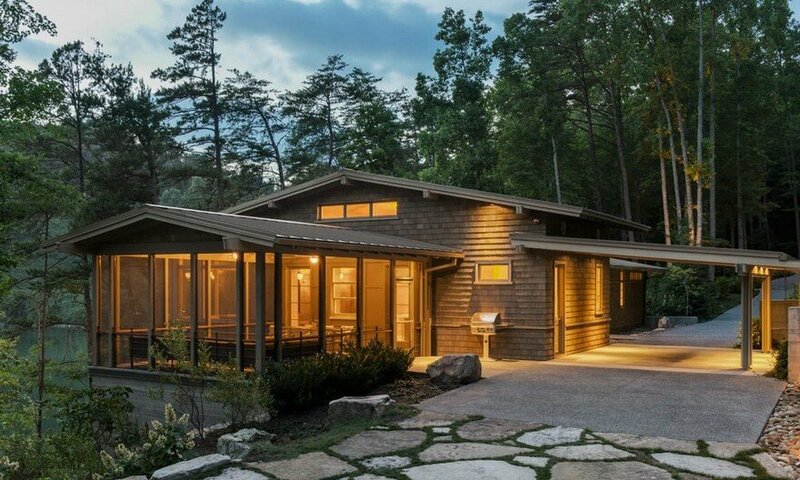 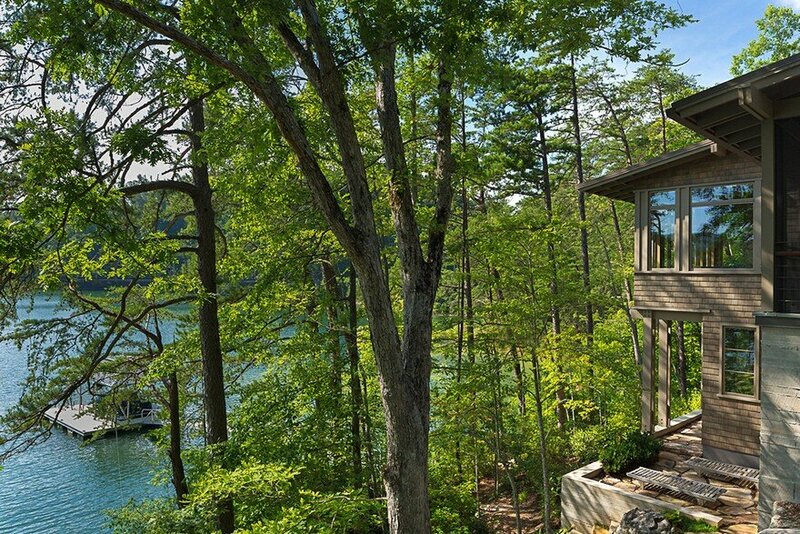 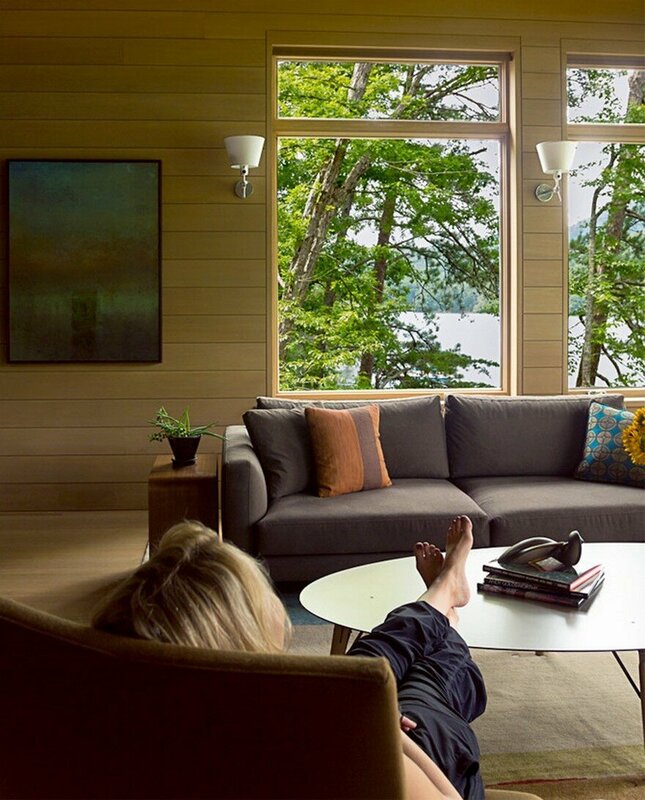 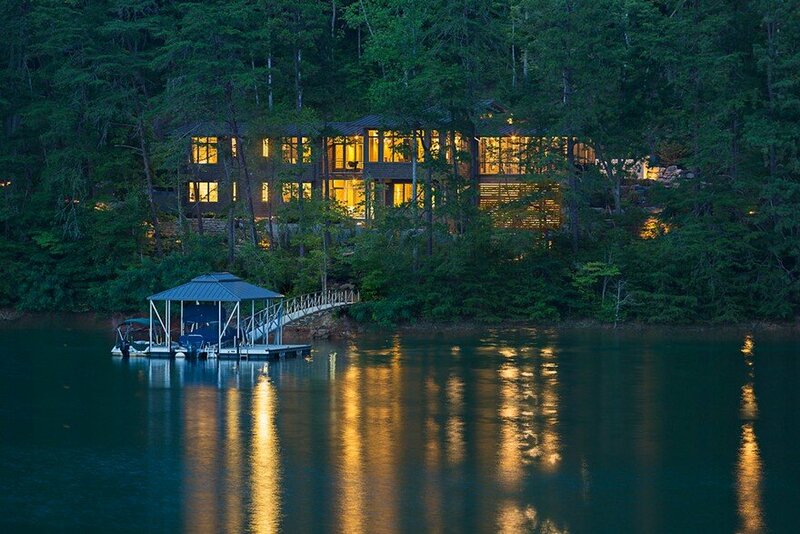 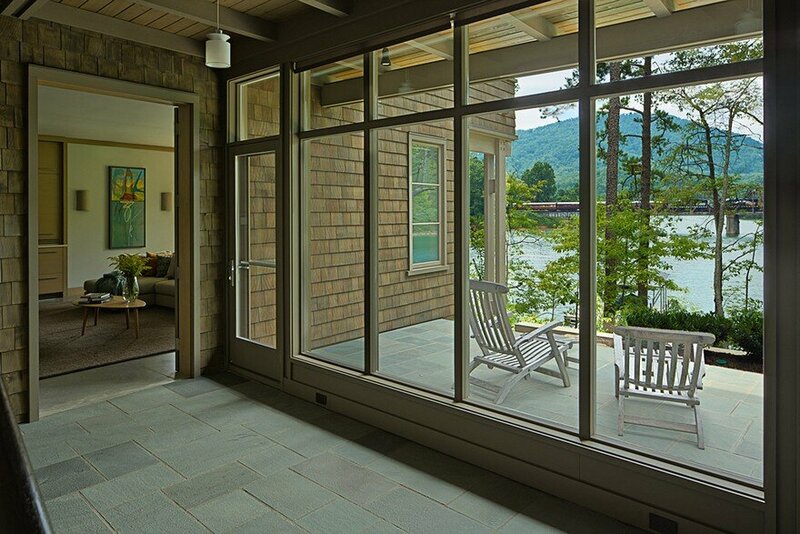 Description by architect: The Fontana Lake House is a private lake home located in Swain County. 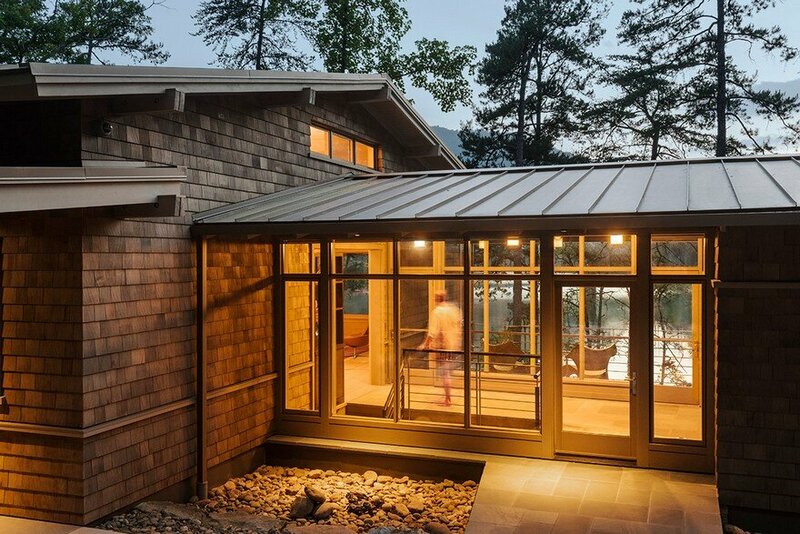 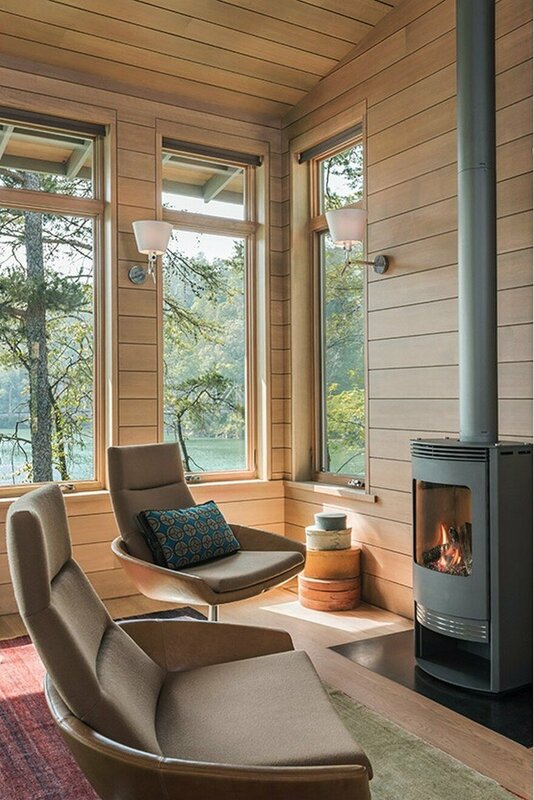 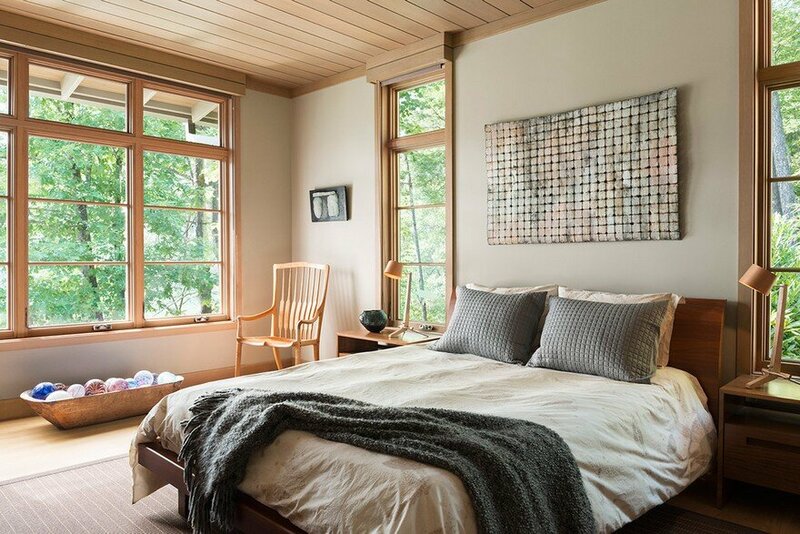 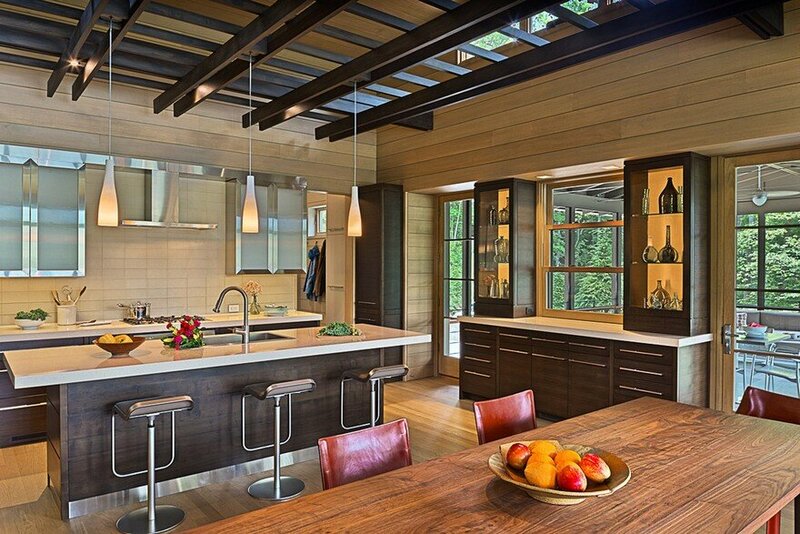 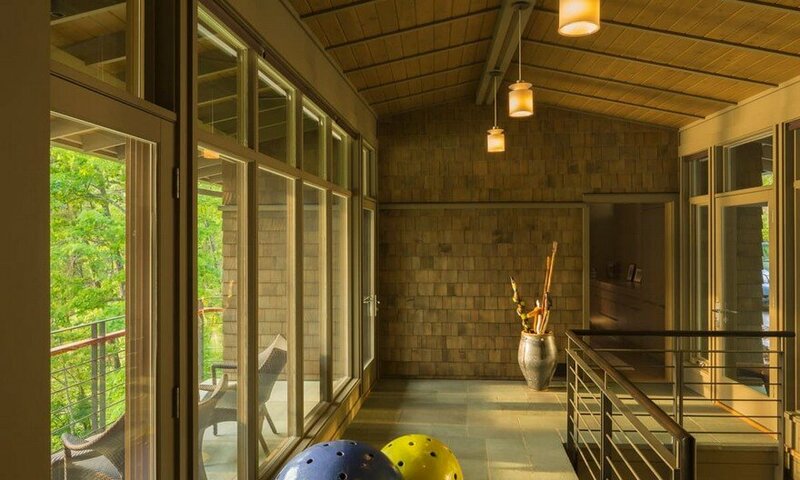 The LEED Gold home is designed to integrate harmoniously with the surrounding Appalachian mountain setting. 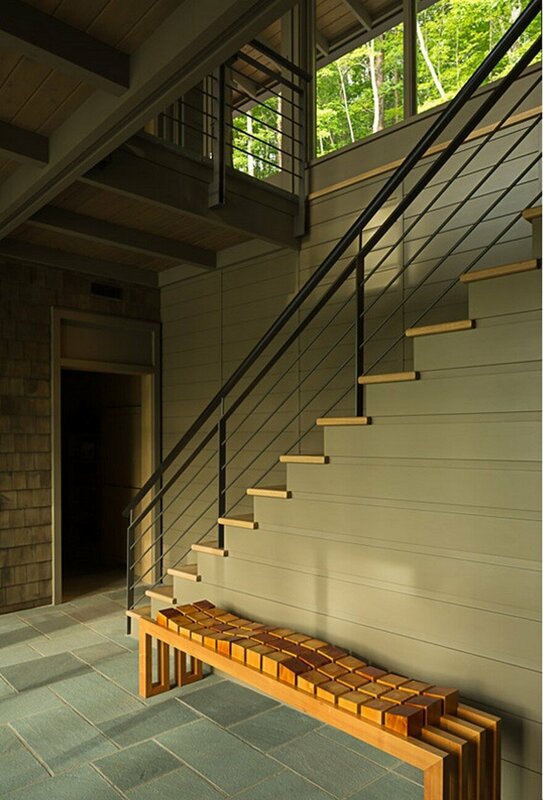 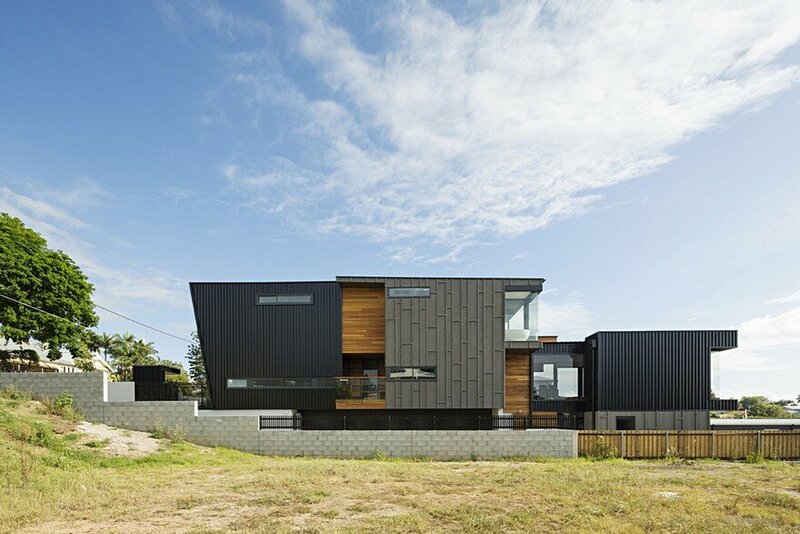 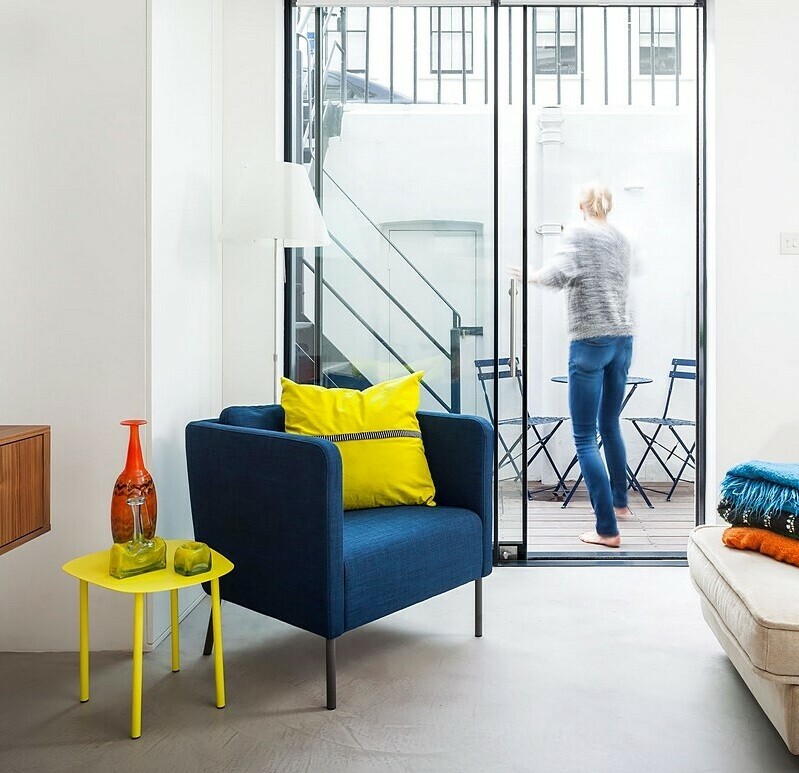 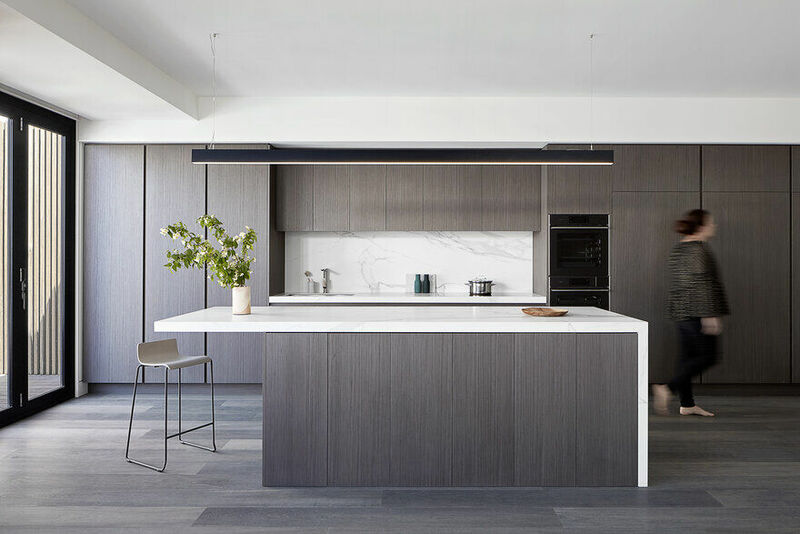 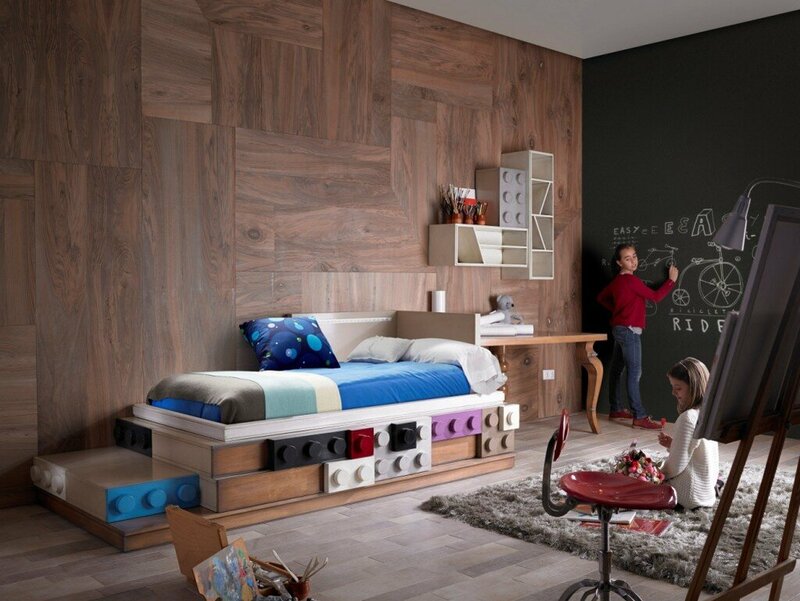 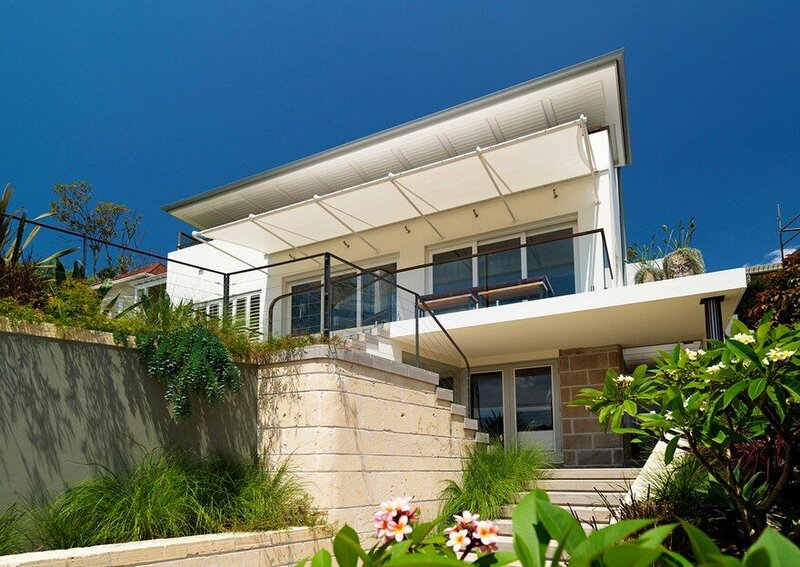 The understated exterior and the thoughtfully chosen palette blend into the topography of the wooded hillside.